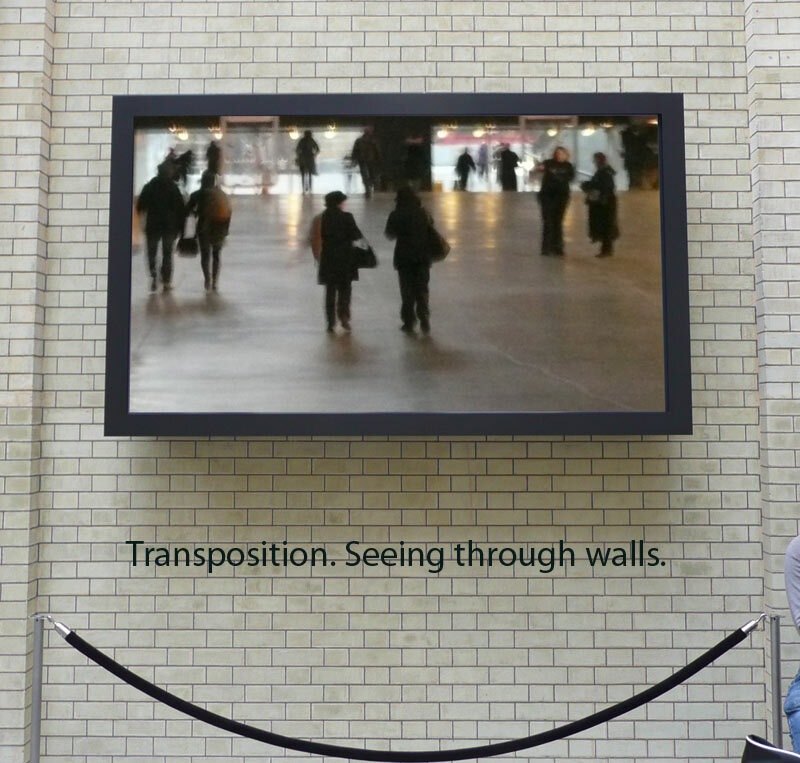 Transposition; Seeing Through Walls by Stanza. 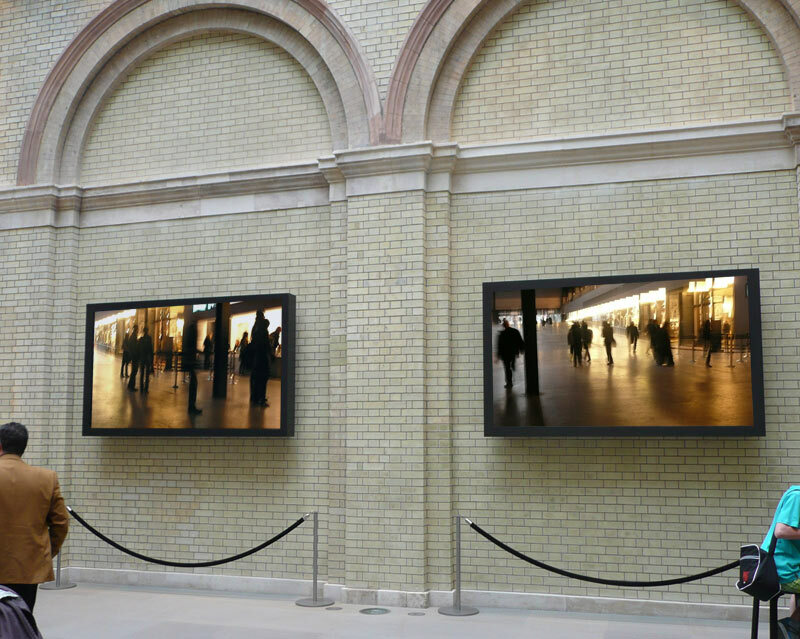 This installation uses a CCTV system to open up the space. This installation uses a special CCTV system place in specific location to create the effect of see through the walls whwre there is no windows. 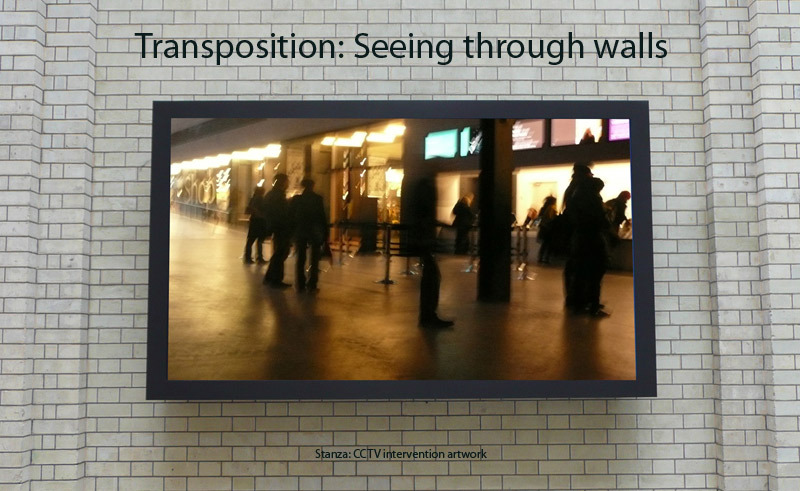 Transposition: Seeing Through Walls. Stanza 2007. This art installation uses a custom made CCTV system placed in specific location to create the effect of seeing through the walls where there are no windows. We all become super heroes in a new world where walls become transparent and the things that separate are removed. CCTV trompe-l'œil….installation seeing through walls. Trompe-l'œil, is an art technique involving extremely realistic imagery in order to create the optical illusion that the depicted objects appear in three-dimensions, instead of actually being a two-dimensional painting.